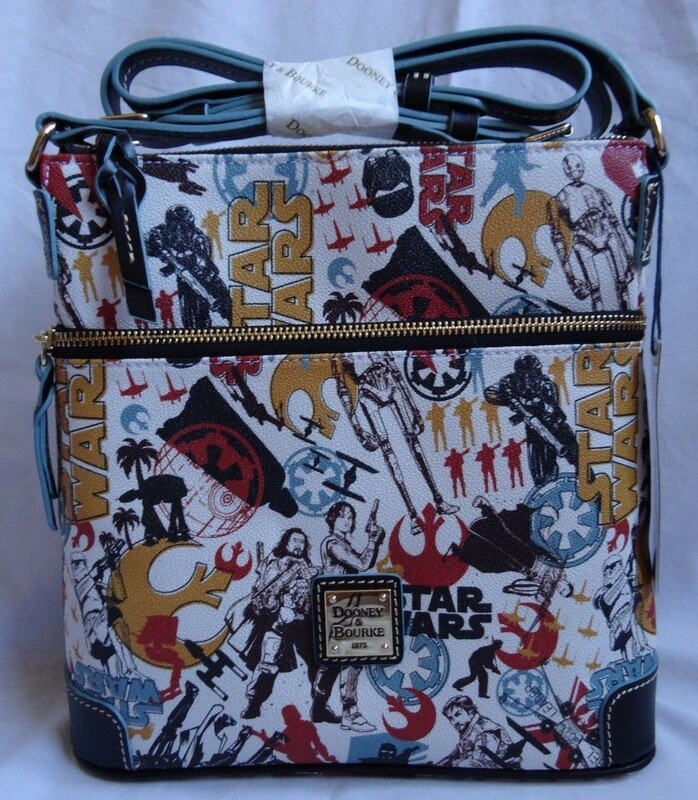 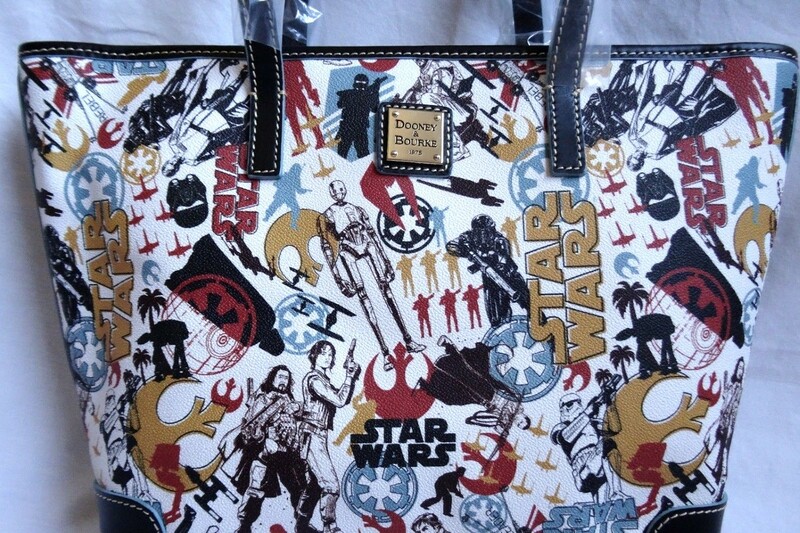 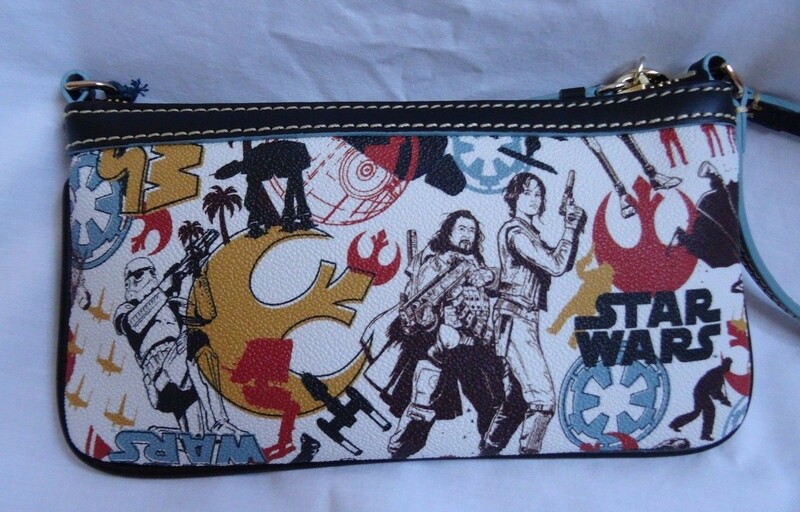 The new Dooney & Bourke x Star Wars bags are showing up on eBay. The new range features a Rogue One print, with black straps and accents – the pattern has a white background, with yellow, red, blue and black details including Rogue One characters, vehicles, and logos. 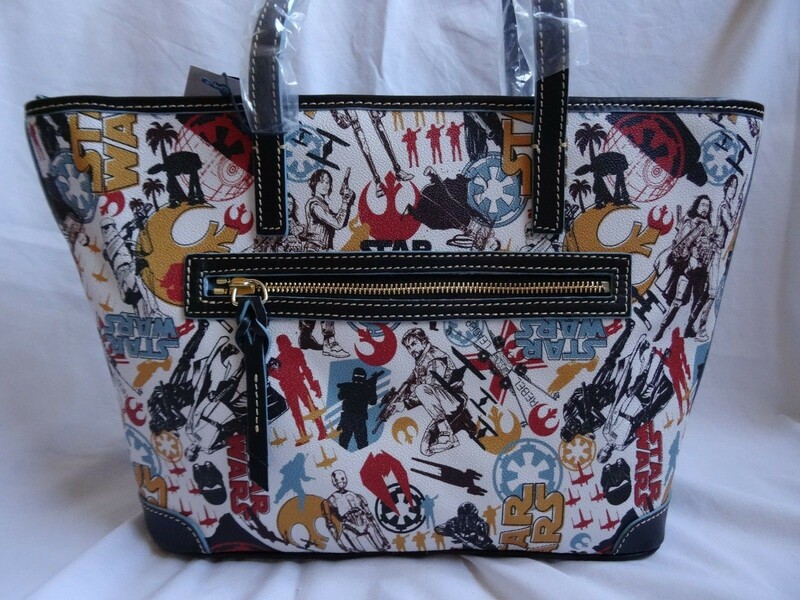 The original retail for the bags are – wristlet US$98, letter carrier US$198 and shopper tote US$268 – while reseller prices are higher, this takes into account the time and cost of entering a Disney Park to purchase the items (essentially a personal shopper commission charge). 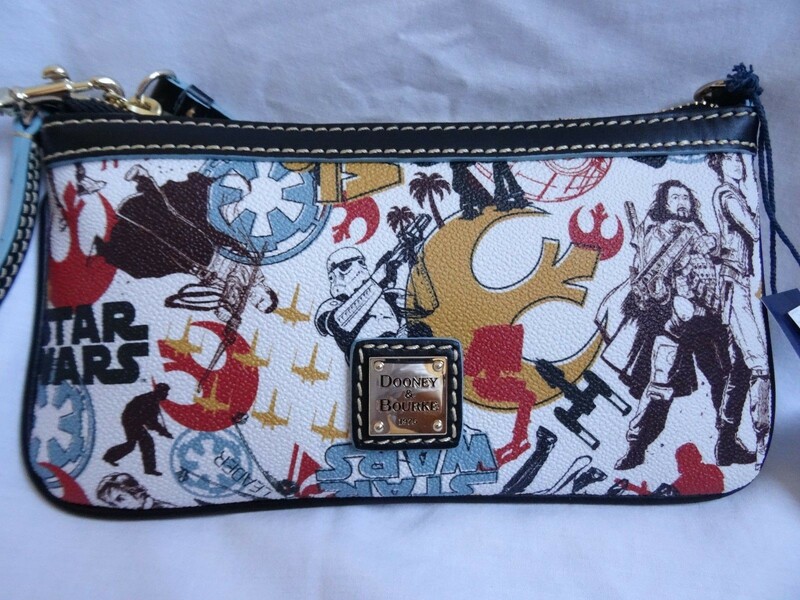 Resellers are especially useful if you can’t travel to Disney Parks often, or live overseas. 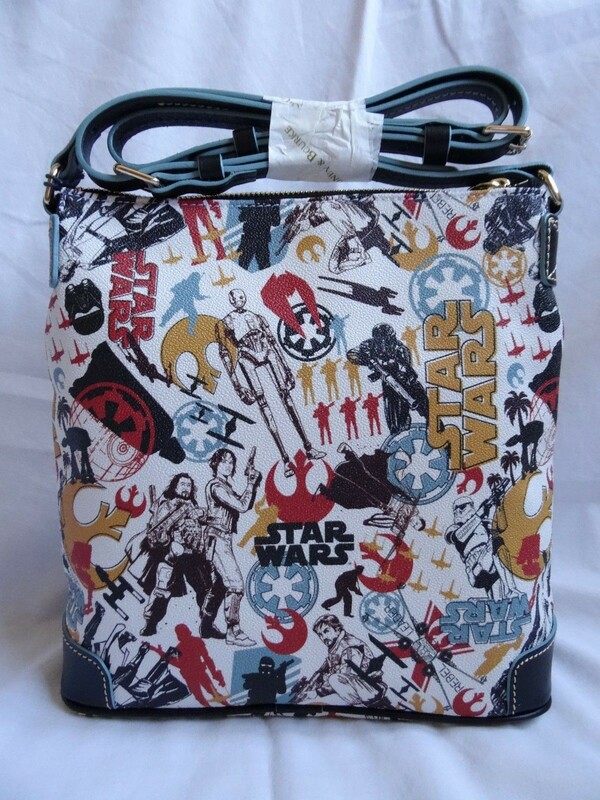 While some Dooney & Bourke styles are available on the Disney Store website, these Rogue One bags are not currently listed. 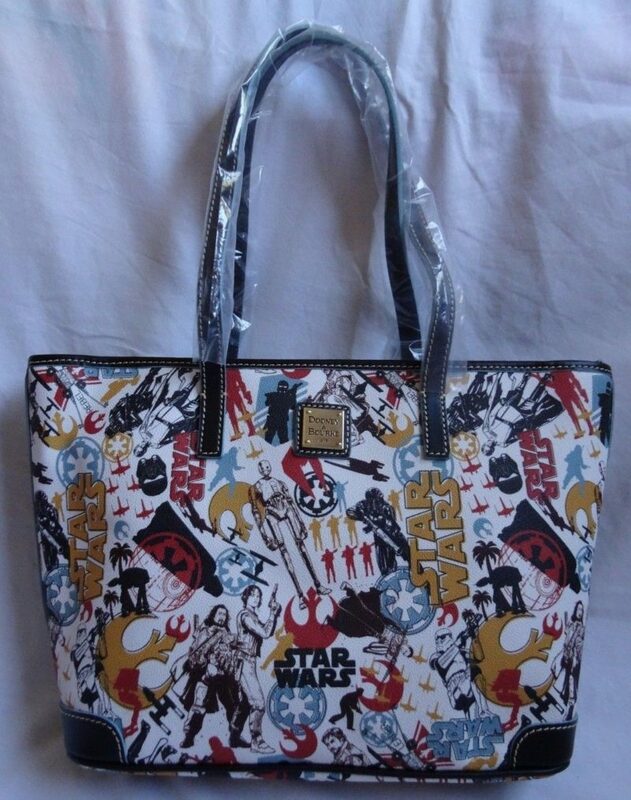 All 3 new bags are available from eBay seller wanderingprincess – they can ship internationally. 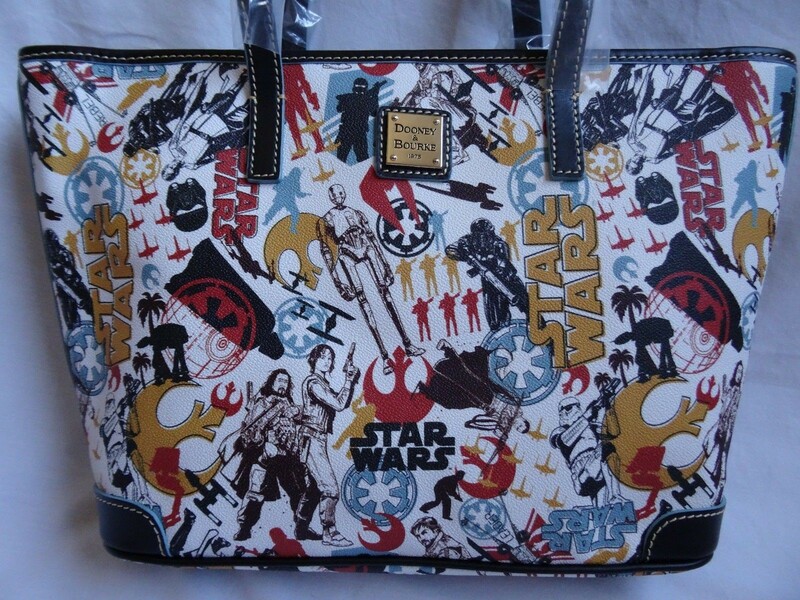 Photos sourced from and belong to eBay seller wanderingprincess. 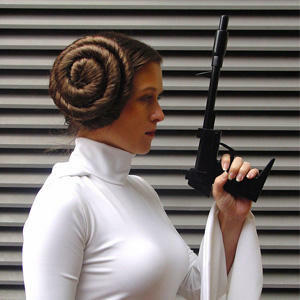 Previous Post New Rey inspired top from Musterbrand!